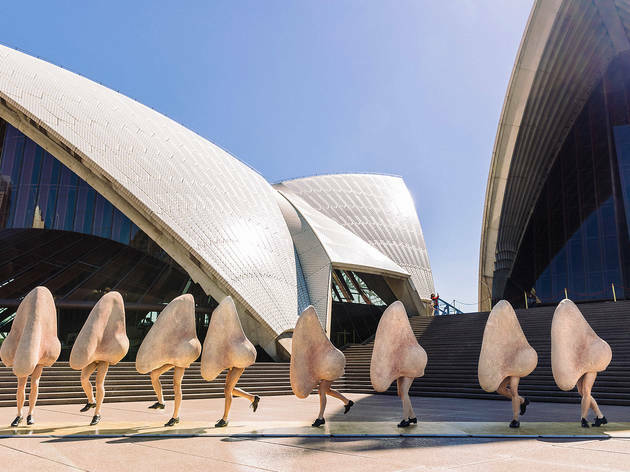 What is Australia's biggest opera company bringing to the Sydney Opera House in 2018? The centre of Opera Australia’s 2018 season is nothing to sneeze at – and something many opera and theatre lovers will applaud: Barrie Kosky’s return to Opera Australia, 19 years after he directed Wozzeck for them. Since then, and as the artistic director of Berlin’s Komische Oper from 2012, he has become one of the poster boys for opera’s international revival as an artform, with vivid, politically charged and dramaturgically accessible productions including The Magic Flute (slated for a 2019 appearance in Australia) and Saul (at Adelaide Festival in 2017). Shostakovich wrote The Nose at the tender age of 20, inspired by Nikolai Gogol’s short stories ‘The Overcoat’ (1842) and ‘The Nose’ (1836), in which he satirises the newly wealthy middle classes of 19th century St Petersburg. In The Nose, a civil servant wakes up to find his nose has absconded – and can be found parading the streets of St Petersburg in a coat finer than his own, and a rank exceeding his own. Kosky’s production features an English-language libretto (translated from Russian by David Pountney) and design by his regular collaborators Klaus Grünberg (set and lighting design) and Buki Shiff (costume design). The choreographer – responsible for the glorious tap-dancing noses – is Otto Pichler. Opera Australia haven’t favoured Russian operas to date, but Terracini is a fan of this part of the repertoire, and has programmed Tchaikovsky’s Eugene Onegin and remounted Prokofiev’s The Love for Three Oranges in his tenure. Other highlights of the 2018 season include the previously announced Handa Opera on Sydney Harbour (HOSH) production of La bohème – a new production featuring design by Dan Potra (behind the giant dragon on stage for HOSH Turandot) – and a brand-new production of Verdi’s Aida by Italian director Davide Livermore, featuring what the press release describes as “new digital technologies” (we hope lasers; more likely, the use of video screens and projections). Another already-announced highlight of the season is a revival of the original 1978 Harold Prince production of Tim Rice and Andrew Lloyd Webber’s blockbuster Evita, co-produced by Opera Australia and musical theatre juggernaut John Frost, and starring Australian pop veteran Tina Arena. Opera Australia are also introducing a new ongoing initiative in 2018: the annual staging of a smaller work (mostly a contemporary Australian work) in the the Opera Centre’s scenery workshop in Surry Hills. They’ll kick that off in September 2018 with a revival of Australian composer Brian Howard’s 1983 chamber opera Metamorphosis, directed by Tama Matheson (who helmed OA’s glam-Gothic 2013 production of The Force of Destiny).